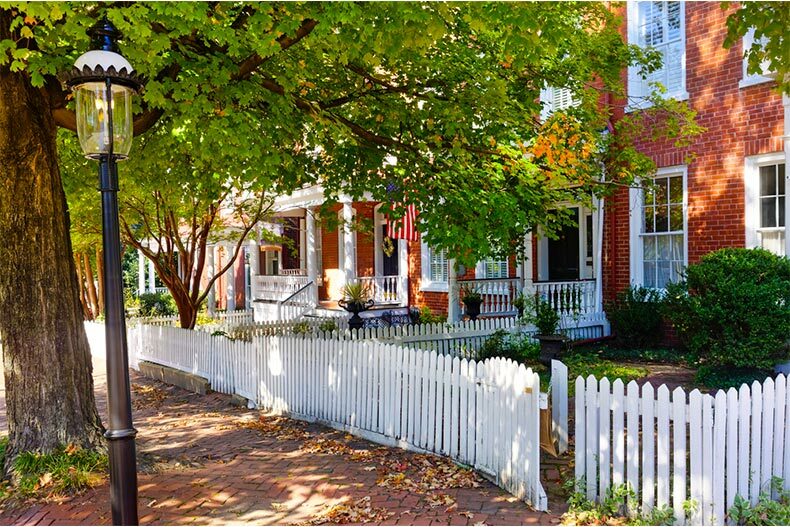 Quaint and historic Richmond, VA is a great area for active adults. Many people know Richmond, Virginia as the capital of the Confederacy but the city has much more to offer than just history. A vibrant arts and culture scene, combined with ample opportunity to be outdoors, make Virginia’s capital a great place for active adults to live. Virginia Commonwealth University (VCU), as well as the politics and politicians revolving around the Capitol Building, drive the region economically. The downtown area provides restaurants, music venues, and concert halls on-par with a large city. Parks and recreation spaces in the city provide natural escapes. The James River Park System offers locals a place to hike, bike, and walk. Richmond is just an hour from the Shenandoah Valley, which gives visitors a place to be outside or enjoy the booming Virginia wine industry. The city is also an hour and a half from the scenic Blue Ridge Mountains. The region is ideal for active adults who want a combination of city and country life. Here are four great communities in the Richmond area. One of only a few communities within the city of Richmond, Settler’s Ridge is a scenic neighborhood with 166 homes. Built around a historic home that now serves as the clubhouse, the community includes single-family homes that range in size from two to three bedrooms and 1,265 to 2,075 square feet. Settler’s Ridge doesn’t offer the resort-style amenities which characterize many 55+ communities but has an intimate clubhouse with an indoor pool, exercise room, and meeting rooms. CrossRidge in the historic Glen Allen suburb of Richmond is an expansive community of over 700 homes. The gated community includes six separate neighborhoods, with attached and single-family models. The Pavilion Club hosts over 100 activities and social events a month, keeping residents busy with special interest clubs, game nights, exercise classes, and more. Active residents can swim in indoor and outdoor pools, exercise at the fitness center, and get a game of tennis in on the courts. The community is less than half an hour from downtown Richmond and just minutes from shopping centers and big-box stores. Located on the south side of Richmond, Greenwich Walk offers new homes in a quieter outer suburb of Richmond. HHHunt and Stylecraft Homes will provide 350 single-family and attached homes when the community is complete. Currently, the two and three bedroom homes range in size from 1,721 to 2,174 square feet. As of late 2018, builders are still working on the clubhouse. However, residents have access to the Swim & Racquet Club at FoxCreek, which includes indoor and outdoor pools, a fitness center, and tennis courts. The homes in the community of the Villas at Rose Hill nestle into the suburbs of Mechanicsville on the north side of Richmond. These homes are ideal for active adults who don’t want to live in a large, resort-style 55+ complex. The Villas at Rose Hill is relatively small, with only 137 homes.